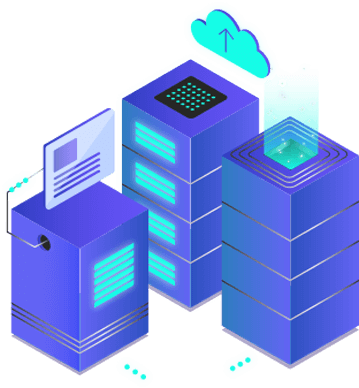 Whereas, the parties acknowledge that the Internet is neither owned nor controlled by any one entity; therefore, HostCox Web Hosting can make no guarantee that any given reader shall be able to access HostCox Web Hosting's server at any given time. If the customer wishes to cancel HostCox shared Web Hosting services within ninety-seven (97) days of the initial signup they shall be able to do so for any reason (aside from disablement for Terms of Service or Spam Policy violations) and have their money promptly refunded. Services provided by 3rd parties and HostCox partners are not part of the 97-day refund policy and no early ending credit applies. Billing will stop at end of term during which the service is canceled. "97-Day Money-Back Guarantee" offer only applicable to credit card payments for shared web hosting. Other forms of payment are non-refundable. Refunds can only be processed for shared hosting. Domain registrations (including the value of any used free domain registrations included with the plan) are not refundable under any circumstances. SSL certificates are non-refundable. The value of any AdWords credit or other third-party add-ons is non-refundable. See domain registration agreement for more information. Violations of HostCox's Terms of Service, Acceptable Use Policy, or Spam Policy may, at HostCox's discretion, result in immediate and permanent disablement without refund. Disputed charges ("chargebacks") associated with any HostCox account may, at HostCox's discretion, result in immediate and permanent disablement. HostCox will use commercially reasonable efforts to make DreamObjects available 99.9% of the time during each monthly billing cycle. If HostCox is unable to meet this service level, you will be eligible to receive a credit to apply to future DreamObjects billing cycles based upon the Unavailability for that month. 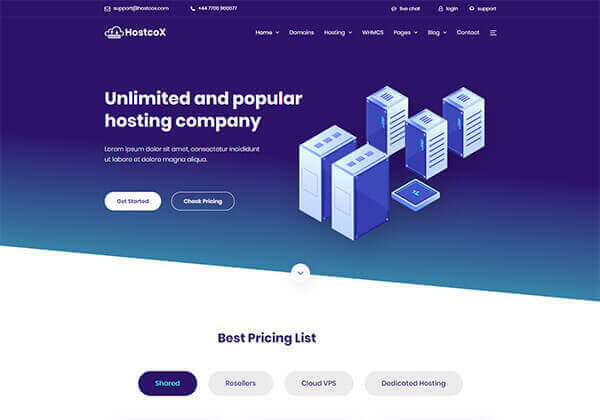 HostCox Web Hosting shall not be liable for any taxes or other fees to be paid in accordance with or related to purchases made from Customer or HostCox Web Hosting's server. Customer agrees to take full responsibility for all taxes and fees of any nature associated with such products sold. 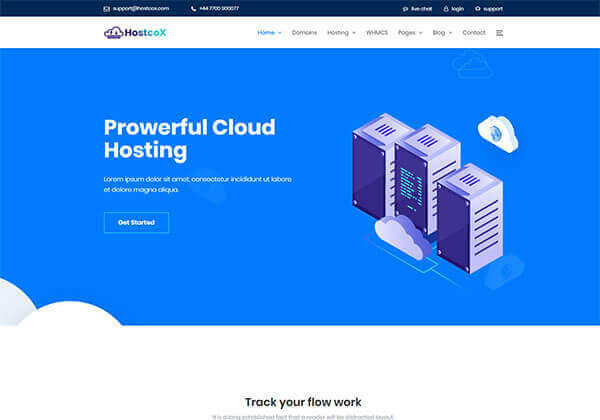 Customer will provide HostCox Web Hosting with material and data in a condition that is "server-ready", which is in a form requiring no additional manipulation on the part of HostCox Web Hosting. HostCox Web Hosting shall make no effort to validate this information for content, correctness or usability. Use of HostCox Web Hosting's service requires a certain level of knowledge in the use of Internet languages, protocols, and software. This level of knowledge varies depending on the anticipated use and desired content of Customer's Webspace by the Customer. The Customer agrees that he or she has the necessary knowledge to create Customer's Webspace. Customer agrees that it is not the responsibility of HostCox Web Hosting to provide this knowledge or Customer Support outside of the defined service of HostCox Web Hosting. 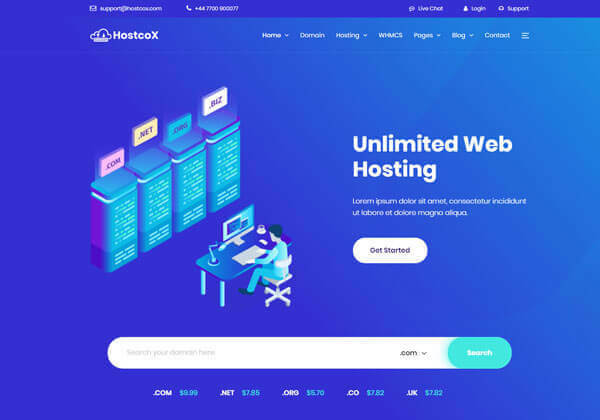 HostCox Web Hosting will exercise no control whatsoever over the content of the information passing through the network, provided that it adheres to all other conditions set forth in our Terms of Service and Acceptable Use Policy documents. HostCox Web Hosting reserves the right to police its network to verify compliance with all agreed upon Terms. 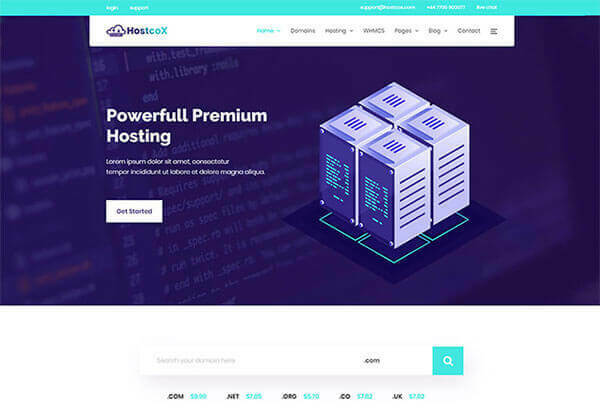 HostCox Web Hosting reserves the right to disconnect any website or server deemed to present a security threat to HostCox's customers, servers, or network. The opening of multiple accounts or service plans in order to bypass any restrictions or overage charges set forth by HostCox is grounds for termination of all services. HostCox Web Hosting makes no warranties or representations of any kind, whether expressed or implied for the service it is providing. HostCox Web Hosting also disclaims any warranty of merchantability or fitness for a particular purpose and will not be responsible for any damages that may be suffered by the Customer, including loss of data resulting from delays, non-deliveries or service interruptions by any cause or errors or omissions of the Customer. Use of any information obtained by way of HostCox Web Hosting is at the Customer's own risk, and HostCox Web Hosting specifically denies any responsibility for the accuracy or quality of information obtained through its services. Any mention of connection speeds associated with HostCox's services represents the maximum achievable speed. HostCox does not guarantee that the customer will achieve the maximum connection speed at all times, as this depends on a variety of factors (including your own internet connection!). 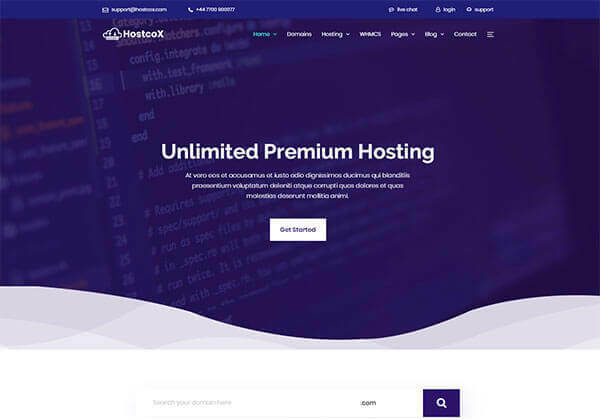 HostCox Web Hosting expressly limits its damages to the Customer for any non-accessibility time or other down time to the pro-rata monthly charge during the system unavailability. HostCox Web Hosting specifically denies any responsibilities for any damages arising as a consequence of such unavailability. 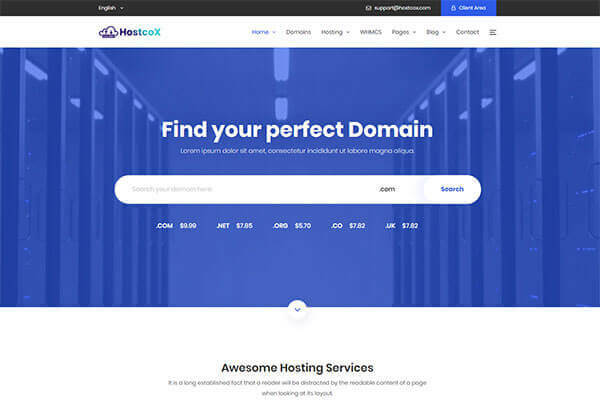 In the event that this material is not "Server-ready", HostCox Web Hosting may, at its option and at any time, reject this material, including but not limited to after it has been put on HostCox Web Hosting's Server. 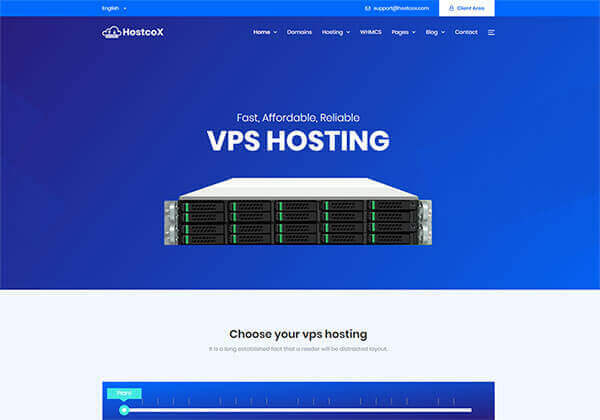 HostCox Web Hosting agrees to notify Customer immediately of its refusal of the material and afford Customer the opportunity to amend or modify the material to satisfy the needs and/or requirements of HostCox Web Hosting. 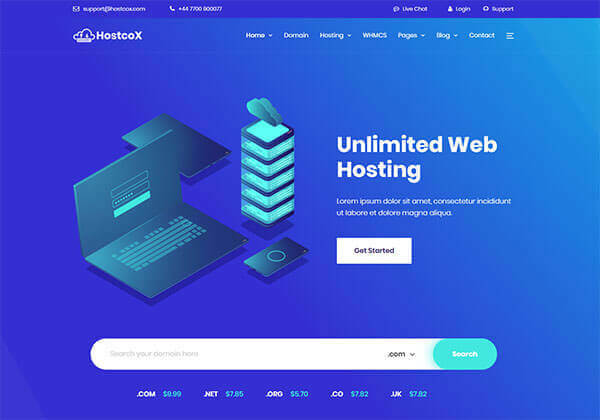 If the Customer fails to modify the material, as directed by HostCox Web Hosting, within a reasonable period of time, which shall be determined between the parties themselves, the contract shall be deemed to be terminated. All domain names registered through HostCox or its previous domain registration site, domainitron.com, that are 'parked' or are otherwise not immediately associated with a HostCox hosting plan will be automatically pointed to a "Coming Soon" web page which informs visitors that the registrant has recently registered their domain name via HostCox.com. The Coming Soon web page may be modified at any time by HostCox without prior notice to you and may include such things as, without limitation, links to additional products and services offered by HostCox. The customer is responsible for and must provide all telephone, computer, hardware and software equipment and services necessary to access HostCox Web Hosting. 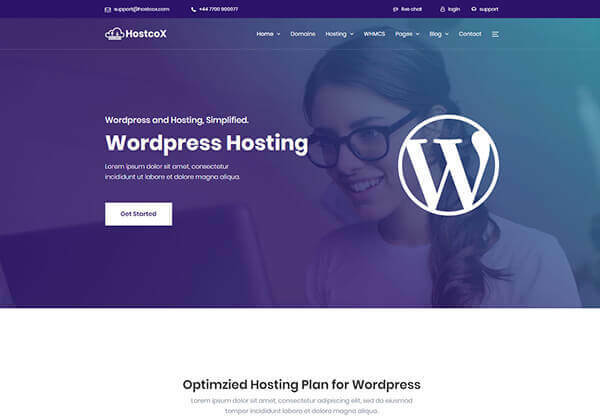 HostCox Web Hosting makes no representations, warranties or assurances that the Customer's equipment will be compatible with the HostCox Web Hosting service. HostCox guarantees 100% uptime. A failure to provide 100% uptime will result in customer compensation pursuant to guidelines established herein. Customer is entitled to compensation if Customer's web site, databases, email, FTP, SSH or webmail become unusable as a result of failure(s) in HostCox systems for reasons other than previously announced scheduled maintenance, coding or configuration errors on the part of the Customer. Customer will receive HostCox credit equal to the Customer's current hosting cost for 1 (one) day of service for each 1 (one) hour (or fraction thereof) of service interruption, up to a maximum of 10% of customer's next pre-paid hosting renewal fee. HostCox's assessment of downtime begins when Customer opens a support ticket to report the problem. Bandwidth pricing and measurement frequency is subject to change at HostCox's discretion. Customers affected by such changes will be notified no less than thirty (30) days in advance by HostCox Web Hosting. HostCox is under no obligation to compensate Customer for downtime, whether the downtime be caused by Customer, HostCox Web Hosting, or HostCox's upstream providers. Hardware upgrades to an existing 'platform' (platform defined as a motherboard/chassis combination) will be performed by HostCox and shall incur an additional one-time labor fee of $100 as well as an increase to Customer's standard monthly rate. Any hands-on labor necessitated by the customer (including, but not limited to, re-installing the operating system on the server) shall be performed by HostCox and shall incur an additional one-time labor fee of $100 for each incident. HostCox reserves the right to alter the dedicated server packages advertised on its website at its discretion. HostCox is not required to upgrade Customers' hardware or bandwidth allocation as a result of a pricing or service package change. There will be an additional charge of $200 associated for any such hardware upgrade requested by Customer. Customer will not be required to upgrade hardware as a result of a pricing change. For managed servers, HostCox is responsible for the security of the network, the kernel, and the base operating system (defined as the standard set of debian packages that come installed with the server). HostCox may take any steps it deems necessary at any time to protect the security of your server (this generally includes applying security patches as well upgrading the entire operating system). HostCox is not responsible for notifying unmanaged servers of the need to apply patches. Failure to comply with these requirements is grounds for termination of contract without refund. HostCox reserves the right to take any action upon unmanaged dedicated servers it deems necessary at any time to protect the security and integrity of HostCox's network. This contract may be terminated by either party, without cause, by giving the other party 14 days written notice. HostCox Web Hosting will accept termination by electronic mail. Notwithstanding the above, HostCox Web Hosting may terminate service under this contract at any time, without penalty, if the Customer fails to comply with the terms of this contract, including non-payment. HostCox Web Hosting reserves the right to charge a reinstatement fee. Customer expressly agrees that use of HostCox Web Hosting's Server is at Customer's sole risk. Neither HostCox Web Hosting, its employees, affiliates, agents, third party information providers, merchants licensers or the like, warrant that HostCox Web Hosting's Server service will not be interrupted or error free; nor do they make any warranty as to the results that may be obtained from the use of the Server service or as to the accuracy, reliability or content of any information service or merchandise contained in or provided through the HostCox Web Hosting Server service, unless otherwise expressly stated in this contract. Under no circumstances, including negligence, shall HostCox Web Hosting, its offices, agents or any one else involved in creating, producing or distributing HostCox Web Hosting's Server service be liable for any direct, indirect, incidental, special or consequential damages that result from the use of or inability to use the HostCox Web Hosting Server service; or that results from mistakes, omissions, interruptions, deletion of files, errors, defects, delays in operation, or transmission or any failure of performance, whether or not limited to acts of God, communication failure, theft, destruction or unauthorized access to HostCox Web Hosting's records, programs or services. Customer hereby acknowledges that this paragraph shall apply to all content on HostCox Web Hosting's Server service. By using a promotional ("promo") code you waive the option to indicate who referred you to HostCox. Promo codes/referrers are for new customers only — if you use one you may not host on your account any domain ever previously hosted with HostCox. any defective product which Customer sold on HostCox Web Hosting Server. Customer agrees to comply with all applicable export and reexport control laws and regulations, including the Export Administration Regulations ("EAR") maintained by the U.S. Department of Commerce, trade and economic sanctions maintained by the Treasury Department's Office of Foreign Assets Control, and the International Traffic in Arms Regulations ("ITAR") maintained by the Department of State. Specifically, Customer covenants that it shall not – directly or indirectly – sell, export, reexport, transfer, divert, or otherwise dispose of any products, software, or technology (including products derived from or based on such technology) received from HostCox under this Agreement to any destination, entity, or person prohibited by the laws or regulations of the United States, without obtaining prior authorization from the competent government authorities as required by those laws and regulations. Customer agrees to indemnify, to the fullest extent permitted by law, HostCox from and against any fines or penalties that may arise as a result of Customer's breach of this provision. This export control clause shall survive termination or cancellation of this Agreement. Customer also agrees to abide by all applicable Terms set forth by all HostCox partners and subsidiaries. Revisions to this Contract will be applicable to previous Contracts Revisions will be considered agreed to by the Customer on renewal of service as specified in Section – Financial Arrangements. Customer may not transfer this contract without the written consent of HostCox Web Hosting. We make registering, hosting, and managing domains for yourself or others easy. Because the internet needs people. Bring to the table win-win survival strategies.